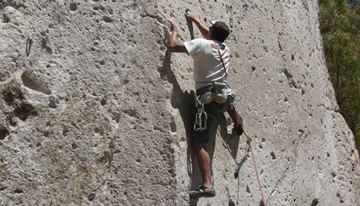 Quechua - Exploring High Mountains E.I.RL Has been offering Mountain Guide Services in Arequipa, Perú for more than 25 years. Its founder, Iván Jiménez Guzmán, has organized 100's of expeditions on numerous peaks above 6000 meters on both classic and technical routes such peaks as Huascarán (6768m) in the Cordillera Blanca of Peru; in Ecuador Chimborazo (6380m); in Argentina, Anacongua (6962m), the highest point in the western hemisphere. Has been a consultant to La Policia Nacional de Perú and various companies in the mining sector advising on precautionary measures to be taken when workers are confined to vertical environments in order to perform essential tasks for the completion of an operation or project. Is a member of the UIAGM, AGMA, and AGMP – Union Internacional Associació de Guias de Montaña and also Las Asociacións de Guias de Montaña in both Perú and Argentina. Is an affiliate of A.V.I.T. 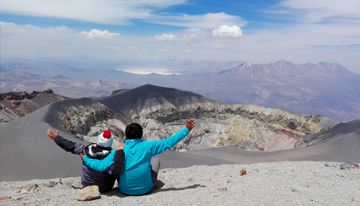 (Association of Travel Agencies and Tourism of Arequipa) and all our field activities are covered by an Integral Accident Insurance by MAPFRE. 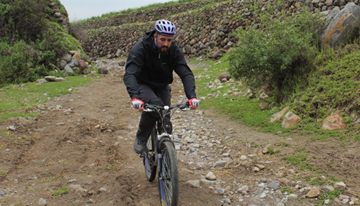 Copyright © 2019 Quechua Explorer Andeans Mountains. All rights reserved.